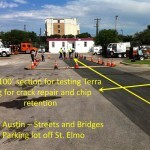 City of Austin test section at the parking lot of the Department of Public Works in Austin, TX. 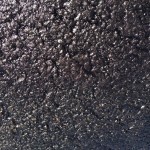 Terra Fog is a water-based and environmentally friendly fog seal tested by the Texas Department of Transportation (TxDOT) for applying on Texas roads. 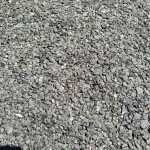 It is very easy to use, requiring no special equipment or instructions. 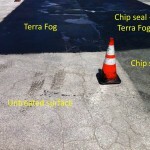 Lab studies have shown that Terra Fog performs well at retaining chips when applied over a chip seal. It also is safe to use in Ozone Nonattainment Areas, like crowded cities and metropolitan areas, since it does not emit any volatile organic compounds (VOCs). 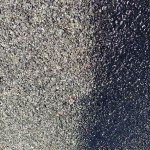 Almost 50% of aggregates are lost due to weather and traffic within a couple of years after construction; however, lab tests have shown that Terra Fog prevents aggregate loss completely. 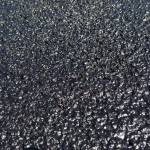 Terra Fog extends the service life of asphalt pavements and forestalls drastic maintenance, such as resurfacing and seal coating, by preventing water from infiltrating the base. It prevents aging of the pavement by stopping oxidation, and it penetrates the pavement and seals loose particles, thereby improving the pavement’s structural matrix. 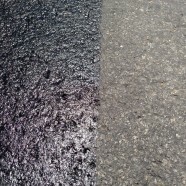 Terra Fog also seals small cracks, coats loose surface particles, and defines and maintains road shoulders. 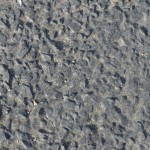 Terra Fog is a polymer-based emulsion that requires water dilution. It is non-petroleum-based and eco-friendly, evaporating only water during the curing process and emitting no VOCs. 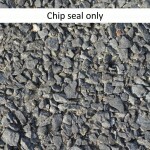 It does not contain solvents or cause damage to roads or vehicles. 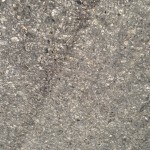 Terra Fog is patented by the University of Texas at Austin and licensed exclusively to Terra Pave International, Inc.